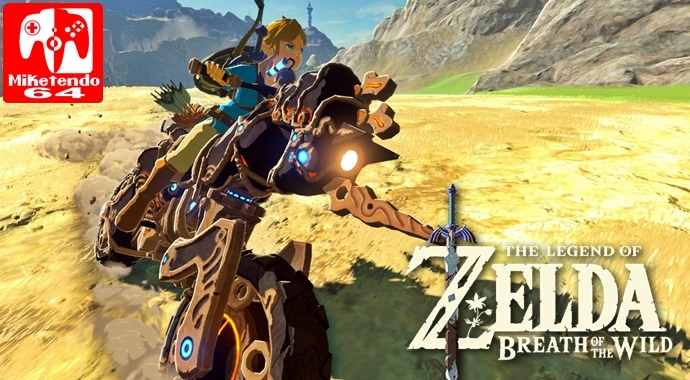 When Nintendo showed The Legend of Zelda: Breath of the Wild off to the public at E3 in 2016, it was clear they were on to a winner and that winner has only gone and pulled off a remarkable feat. Disregarding the sales of re-releases and remakes, Breath of the Wild has officially dethroned Twilight Princess of the title of best-selling entry title for the series. It might not have had what it took to surpass 10 million units sold like Super Mario Odyssey has done, but thanks to 8.48 million copies sold on Switch and another 1.5 million units for Wii U, it’s 9.98 million units do put Twilight Princess’ 8.85 million copies sold worldwide, to shame. Although, Breath of the Wild isn’t the only Switch game that seems to have performed admirable, as the breakout title ARMS, is closing in on 2 million, thanks to having shipped 1.85 million units. Splatoon 2 has sold 6.02 million, with 1-2 Switch having sold 2.29 million units, but the surprising numbers comes from games you wouldn’t expect. Having only sold 8.42 million units on the Wii U, the Switch port seemed to be even more of a crowd favourite, as it currently sits at 9.22 million units sold within a single year and Kirby Star Allies, which actually launched back the middle of March, is at 1.26 million. For comparison’s sake, the Switch game that has slightly performed better than it, is Xenoblade Chronicles 2, which is only sitting at 1.31 million. For anyone wondering just how well Odyssey has done though, its grand total is 10.41 million, so way to go Mario. We all still totally love you, but given the smaller fanbase The Legend of Zelda has, the fact it is still trying to hold its ground and doing a good job at it, is fantastic and it is fine choice of a successor to Twilight Princess.